-No,it is 100% Native Wood material, Imported Japan movement, is very durable and keep time more precise. 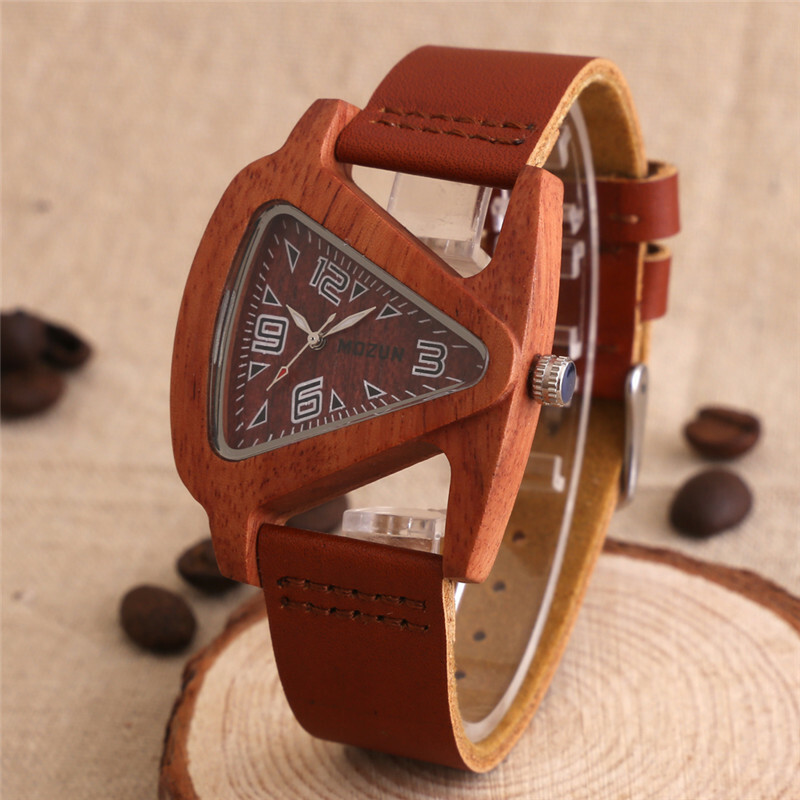 -Why to choose watch made of wood ? -Natural Wood is healthy and comfortable to wear. -Not only a decoration for your wrist, but also a feeling of contact with nature and nice collection, perfect combination of classic and fashion. -Simple and generous design makes the watch look more decent and charming. Note: – Because of its wood texture, we should not drop the water on the watch to avoid the appearance is out of shape,no waterproof. Note:the color of blue in the crown just a small blue membrane,it is in order to protect crown to avoid scratches,thanks	The watch in the following picture is made of zebrano wood,now it is loss sale just for sales,will rising prices soon,please don’t miss,click the picture to buy	Red Sandalwood	 About the Payment	1. We are not responsible for any custom duty import tax charged by buyers’ countries. 2. How to complete the payment: Return Policy	We guarantee your Zero Risk Purchase Experience here. We offer Free Replace or Full Refund to you if the product has any quality problem. About Feedback	Your satisfaction and positive feedback is very important to us. If you are not satisfied,please contact us before you leave Negative feedback,we will service you till you satisfy.Provide you with the best customer services.We believe our communication will solve the problem for you. You know any negative or neutral or dispute will hurt both sides, and won’t let the problem really be solved. If you are satisfied,please leave us a positive feedback,we will keep giving you great service here. Please feel free to contact us at Due to the difference of time zone between China and your location, sometimes the reply to your message will be delayed with 6-10 hours. We respond to messages Monday-Friday during regular business hours, and most messages are replied within 1-2 business days. Please be patient! Thank you! Customer Service	Because your satisfaction is our goal. Please don’t leave any negative or neutral feedback or open any dispute on Aliexpress without communication, thank you. We hope to develop a strong, long-term, mutually beneficial relationship with you by proving you low cost, best service and quick delivery. Thanks for your cooperation! Wish you have a good time on shopping! Welcome to our shop again!